One of the most important factors in creating the perfect cappuccino, caffe latte or cortado is texturing the milk so it forms a creamy froth. It can make the difference between a bog-standard cup and a delicious work of art! So what’s the best milk frother? Before attempting to answer that question it’s worth mentioning you don’t need to buy a premium coffee machine with a built-in steam wand to get decent results. But as with many things in life, quality tends to increase with price. 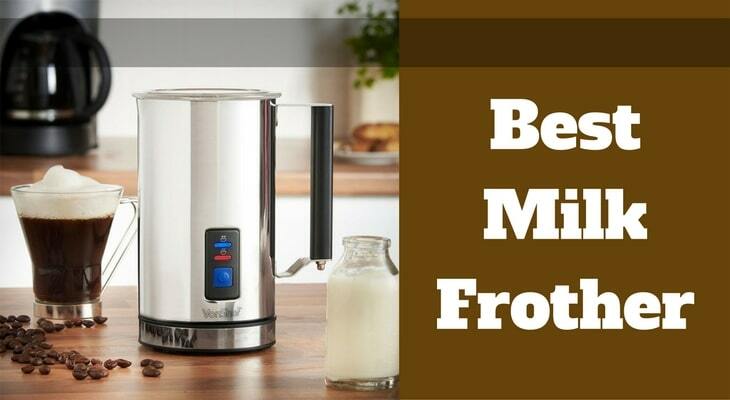 Read on to find out about the basic science of milk frothing, different types of kit you can buy, and reviews of the best milk frothers currently on the market. Milk frothing is an art and a science, just like brewing coffee. Taste, texture and quality of the froth produced will vary depending on several factors including milk fat content, freshness, temperature, equipment and/or method used. Creating froth/foam requires the milk to be aerated and heated to the optimal temperature. This process not only changes the texture, it sweetens the taste. 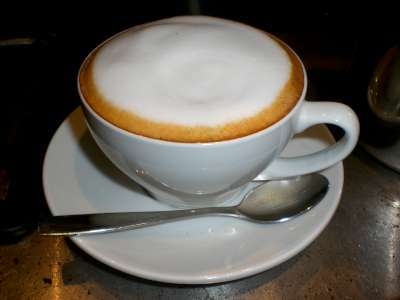 You can froth milk by steaming it (like a barista does) or using a spinning device (such as a whisk) and voila you have foam. However, the latter method may not heat the milk. Microfoam is the gold standard for baristas, this is the silky marshmallow-type stuff with invisible air bubbles that takes a cappuccino from good, to great. It doesn’t actually LOOK like foam, as the bubbles are too tiny to see. Most home machines struggle to mimic the quality commercial coffee machines, but you can get close by following some of our tips below. Full fat milk will give your coffee a full, rich flavour (and that magical “mouthfeel” that coffee enthusiasts rave about) and takes away some of the bitterness. Froth produced by whole milk is thick and less aerated. Low fat or skimmed milk is easier to foam (so great for beginners), and creates a more aerated foam with larger bubbles and lighter flavour. Other types of milk such as soy and almond can also be frothed, but tend to lose the bubbles more rapidly. It’s best to start with cold, fresh milk straight from the fridge. 95 degrees Fahrenheit (60-64 degrees Celsius) is the optimal temperature to achieve milk froth, as this is the temperature at which the milk can hold the bubbles. Any hotter and you risk scalding the milk and affecting the taste. The process of turning milk into foam is called “stretching”. It may vary depending on what kind of frother you use, but a good guideline is to keep frothing until the milk has increased volume by about 50%. These use heat from either a gas or electric stove to warm the milk. They contain a hand-pumping device which you can easily operate to create foam. Sometimes called frothing wands, these are standalone devices that are usually battery operated. With a stick-like shape and whisk head, they can be used directly in your vessel to quickly froth milk. Similar to a ﻿﻿French Press﻿ ﻿﻿(you can even use your French Press specifically for milk frothing), this is a simple stainless steel pot with a lid. Pump operated, it doesn’t take too much effort to create large amounts of soft, creamy foam. This is the tool of the trade at your local coffee shop. Steamer wands are, more often than not, attached to an espresso machine. The wand works by using strong jets of hot steam to heat and froth milk. These devices are easily one of the most fuss-free options. Resembling an electric kettle, you simply pour milk and secure the lid. The whisk inside the unit will heat and froth the milk, and automatically switch off when finished. This device is by far the best milk frother on the market. Because it is hand-held and battery-operated, it is highly portable and even comes with a sturdy storage tube for protection. This means you can take the aerolatte anywhere: camping, parties or the office. This high-powered device creates the perfect, creamy, frothy milk in less than 20 seconds.To add to its versatility, any kind of milk can be frothed; from UHT and powdered milk, to almond and coconut. You need to use it in a deep container to avoid a mess. The batteries need replacing often. This model is a breeze to use. Simply fill the cup to the black line, microwave for 60 seconds, put the lid on and pump the plunger. The milk produced is thick and creamy, and the froth produced will last right until the last sip. 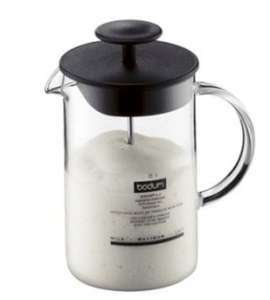 The heat resistant glass carafe allows you to easily judge the quality of froth you’re producing, and the plunger handle is comfortable to grip. Skimmed or semi-skimmed milk will produce the best froth. Holds enough milk to froth four regular coffees. The glass design feels very fragile and thin, with many users reporting breakages even with gentle handling. The design of this electric milk frother is pleasingly modern, and it is available in red or silver. It is the number one best seller in automatic milk frothers. Not only does it froth your milk, but will also heat it to 65 degrees in a matter of seconds. The jug is cordless, with heat proof handle, auto switch off, and features a non-stick interior coating for easy cleaning. If frothing, it can hold 115mL of milk, but if heating, it has a 240ml capacity. Only froths enough milk for one smallish cup. 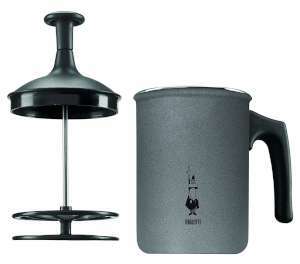 From the famed Italian coffee experts at Bialetti, this traditionally styled frother is a quality product. It can be used on any stovetop to heat milk to your preferred temperature, then simply remove from heat and pump the plunger. The twin filters produce super thick and creamy milk froth, while the specially designed cover keeps the coffee hot for longer. Can heat on stove directly. Quality design and sturdy construction. Needs to be 1/3 full for milk to froth properly (enough for 3 coffees). Difficult to tell if milk is ready due to non-transparency. This is the Rolls Royce of milk frothers, with a price tag to match. The compact design will easily fit into any kitchen space. There are two interchangeable heads that can either stir or froth the milk, according to your preferences. The milk jug and lid are detachable and both dishwasher safe. As you would expect with a top of the line frother, there are many extra features: you can select the milk temperature with the dial, something that can’t be done with the other frothers on our list (most are either hot or cold, no in between.) The center dial has an attractive indicator light, and the machine will beep to let you know when it’s finished. The cheapest model on our list, this is the best milk frother for those on a tight budget. Because it is cheap you could even buy one for the home and one for the office. 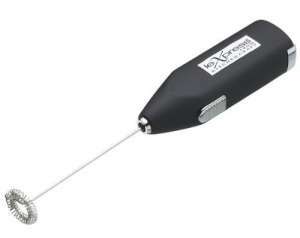 Featuring a lightweight handle and stainless steel rod and coil, this battery-operated, hand held frother gives you great control over the exact frothiness of your milk. Although not the highest quality appliance, it does a great job and is a real bargain. 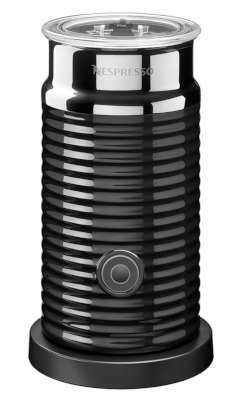 Available in black, red or white, the Nespresso Aeroccino is an attractive looking device. It is a fully automatic system that will create either hot or cold milk froth. This system is ultra-fast, creating excellent foam or steamed milk in around 60 seconds. It’s foolproof to use, automatically shuts off when it’s finished the job, and remains whisper quiet during operation. It has a 120ml foam capacity, or 240ml if just used for heating. The stainless-steel interior is easy to clean, while the plastic outer shell is tough and stylish. This model is a fully automatic, electric, cordless milk frother/steamer. 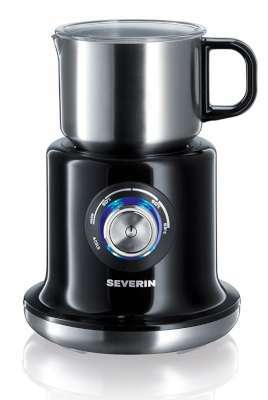 With a stylish black design, it can produce hot milk, hot frothed milk, or cold frothed milk in around two minutes. The whisk is removable, and non-stick coating means it is easy to clean.Simply pour in the milk, turn the power on, and two minutes later you will have perfect thick and creamy milk.This unit is incredibly versatile, and can be used for milkshakes, hot chocolates or any other beverage you crave. 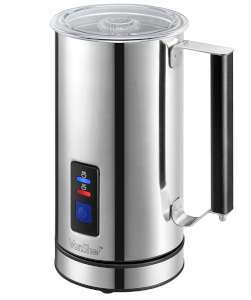 The best milk frother for you depends entirely on your needs and your personal approach to making coffee. As with all stages of the coffee making process, you can adapt your tools and methods to be a quick and easy connoisseur or a ritual-loving, at-home barista. The frothers above cover the whole range, different budgets, and feature portable devices that can be taken on picnics or camping. However you choose to produce it, the milk froth you produce will create those dreamy, smooth drinks that you’ve been craving, and for the artist in you, enable you to create some fancy coffee art on top.